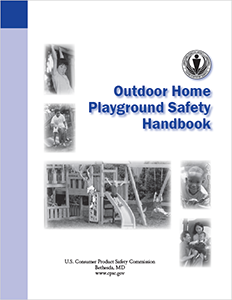 Playground Safety is our goal. Trusted Leaders in Playground Safety. 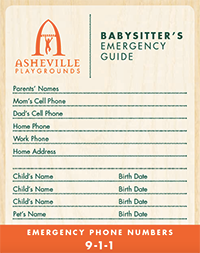 Please see the links below for downloadable/printable playground safety information, including Asheville Playgrounds’ FREE Babysitter’s Emergency Guide. 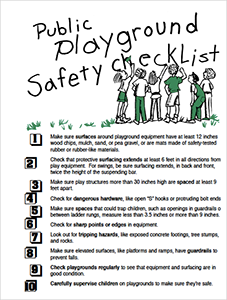 Quality and safety are our top priorities at Asheville Playgrounds. 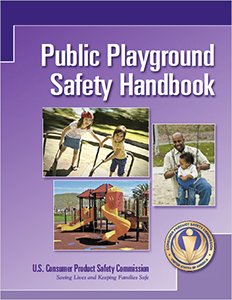 Owners, Evelyn Anderson and Jerry Hajek are both Certified Playground Safety Inspectors (CPSI). They have been building the highest quality playgrounds since the very beginning and will continue using only the strongest and safest materials for every project. 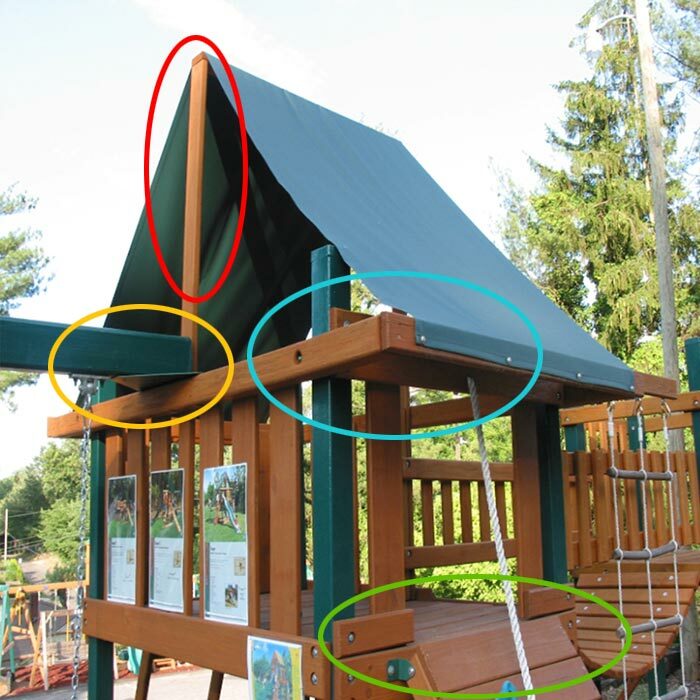 Below is a side by side comparison of the materials and standards used by Asheville Playgrounds vs. the competition. Solid 4×4 posts in each corner and for roof supports. A pair of 2x4s on the edge hold up the grommeted canvas roof. Finger jointed vinyl covered 4x4s with only 1×4 roof supports. Just a single 1×4 laid flat holds a vinyl tarp roof nailed in place. Solid 4×6 swing beam lagged to a corner 4×4 which runs straight to the ground and is cemented in the ground. Swing beam is just attached to a metal plate screwed to the 2×4 handrail. 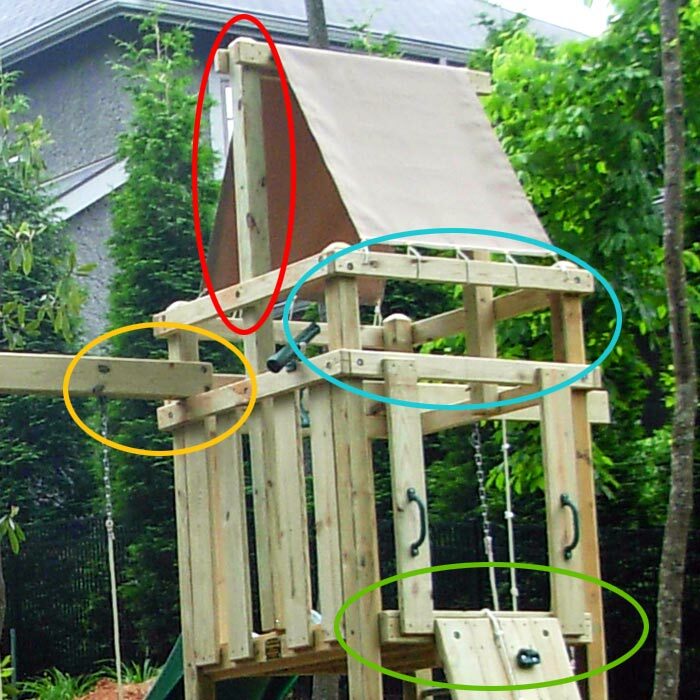 Swing beams are subject to the most forces on the playset! You may be surprised to find out that the competition uses lumber that’s smaller than the standard dimensions found in every lumberyard. Measure and see! Two levels of 2×4 for roof and handrails are taller, stronger, and won’t rack out of square. Just a single layer of 2×4 for roof and handrails are shorter, weaker, and more likely to rack. The rock wall is made of 2×6 and is lagged to the deck. The rock wall is made of 1×6 and attached with metal plates. You know how tough kids are with their toys and clothes. Imagine what they’ll do to the playground! 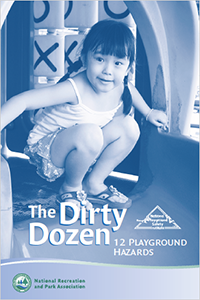 We design our playgrounds to withstand years of rough and tumble use.